The entire Supreme Court building complex of the Royal Court of Oman was equipped with state-of-the-art audio technology as part of the new construction. The new building covers 70,000m² with 8 courtrooms, 36 rooms for judges and 56 offices, as well as rooms for lawyers and waiting rooms for witnesses and visitors. 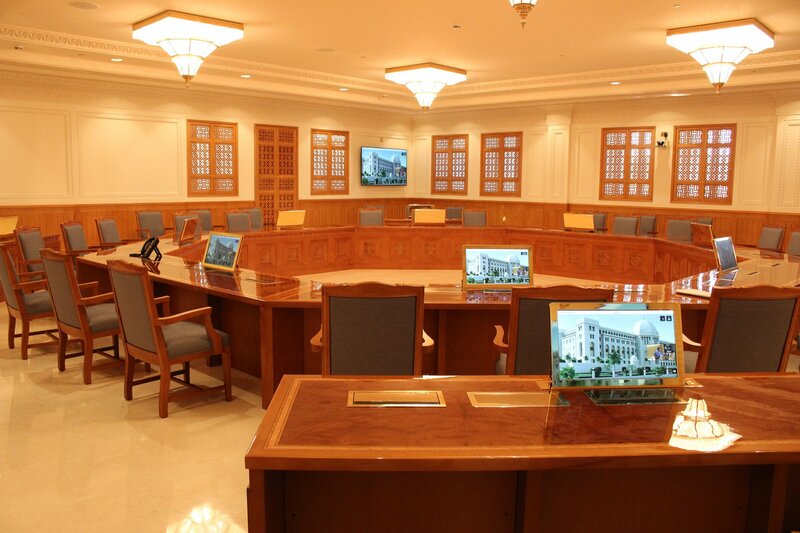 Oman International Electronics( OHI), one of the leading Audio visual system Integrator based in Oman, was officially nominated to execute the complete AV solution for supreme court project. Numerous installation microphones and wireless microphone systems are used in addition to the conference system from the beyerdynamic audio specialists in Heilbronn in order to facilitate the work of the judges, lawyers and all participants. The wired MCS-D 200 conference system was installed with 41 built-in microphone units that can be customised to suit a room’s interior. The high-quality materials and elegant colours used for the microphone units blend in perfectly with the conference setting. 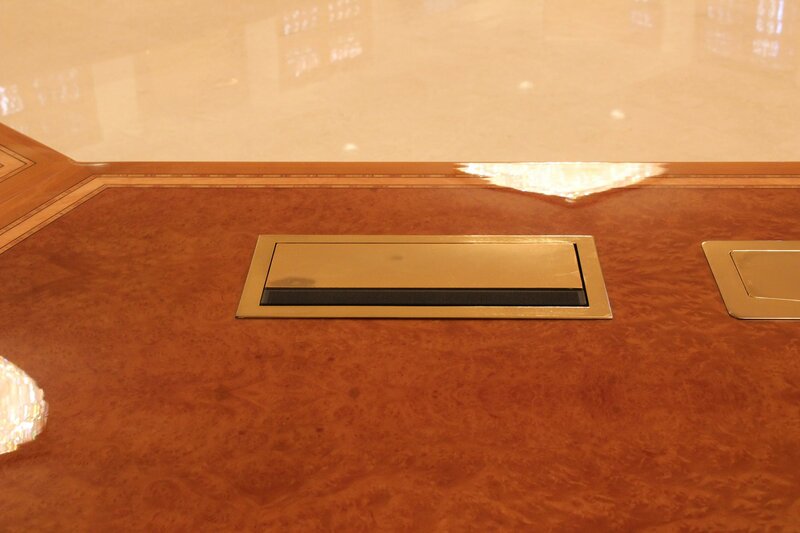 When technical support is not required, the microphone units disappear into the table, becoming almost invisible. The microphone units then no longer take up any room on the conference tables. In addition to the possibilities for integration and customisation, the customers were also impressed by the functions and reliability of these products “Made in Germany”. Since its installation, the conference system has contributed to speech intelligibility and orderly discussion. 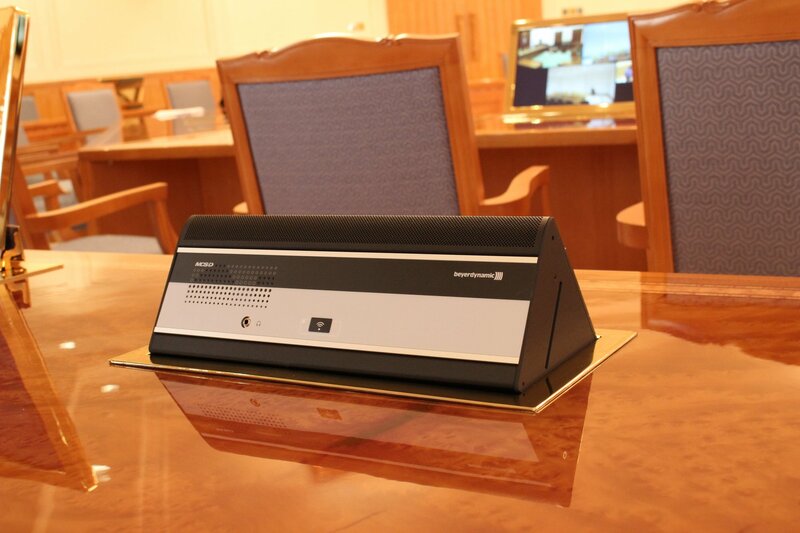 Since April 2016, the high standards for electro-acoustic transmission have been met by the digital TG 1000 wireless system from beyerdynamic, which ensures perfect voice transmission in every one of the courtrooms in the Supreme Court building. Thr long-standing beyerdynamic partner was tasked with providing the media equipment and installed a total of 20 wireless systems with 26 handheld transmitters, 10 pocket transmitters and numerous accessories. Last but not least, the TG 1000 system impressed the customers with its high bandwidth of 319 MHz. Moreover, the wireless TG 1000 system is distinguished by its protection against eavesdropping via integrated encryption, user-friendly menu navigation and negligible latency. The pre-installed TG 1000 software enables monitoring and controlling using an Ethernet interface or web browser on a PC, tablet or smartphone. Speech intelligibility in sessions and negotiations is also guaranteed with the help of Classis GM 314 microphones.